Bree’s Little Bundle Of Joy Has Arrived! 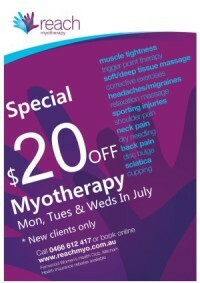 New Client Special – 20% Off! 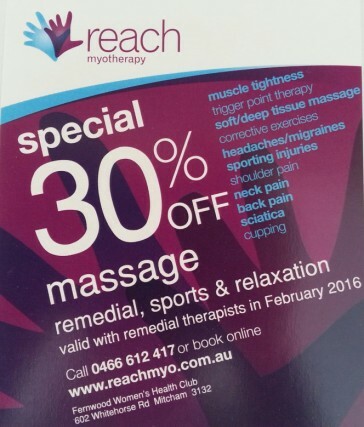 Reach Myotherapy is thrilled to announce we have expanded and added two lovely Remedial Massage Therapists, Jacqui Iscaro and Rhiannon Parker to our team! 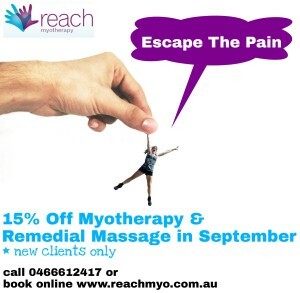 Jacqui Iscaro is a Remedial Massage Therapist and completed her Diploma of Remedial Massage and Certificate IV in Relaxation Massage Therapy from the Australian College of Natural Medicine in 2005. She has been practicing massage for more than 10 years in a variety of clinical settings including medical centres and day spas. Jacqui is also a meditation teacher and an avid yoga enthusiast and incorporates meditation and mindfulness into her massage treatments. 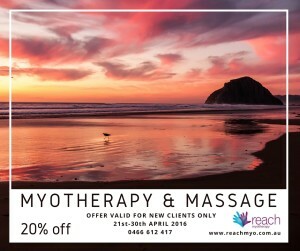 Jacqui’s treatments focus on creating a safe, comfortable space for healing by deeply relaxing your body and mind using massage and mindfulness techniques to help guide your body on the path to self-healing. 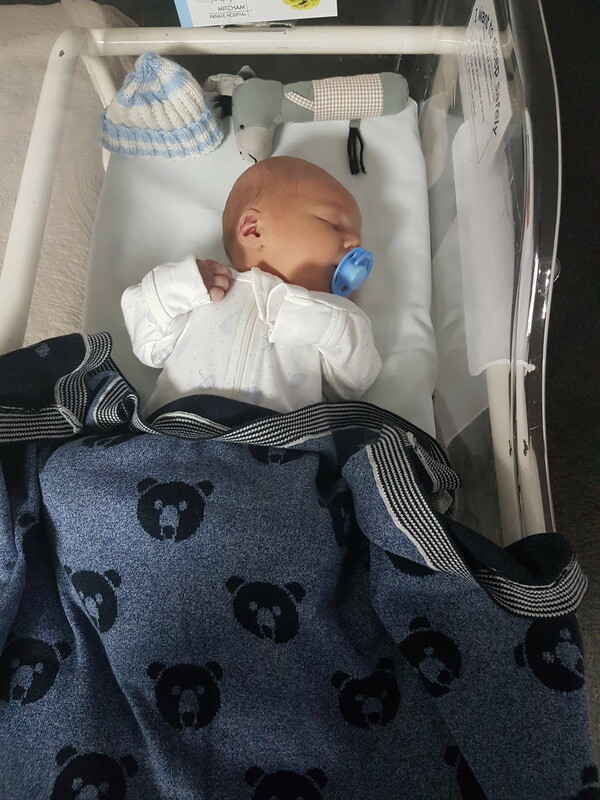 Jacqui will tailor a treatment to suit your individual needs, whether you have a specific area of dysfunction in your body, or simply to come in and relax. 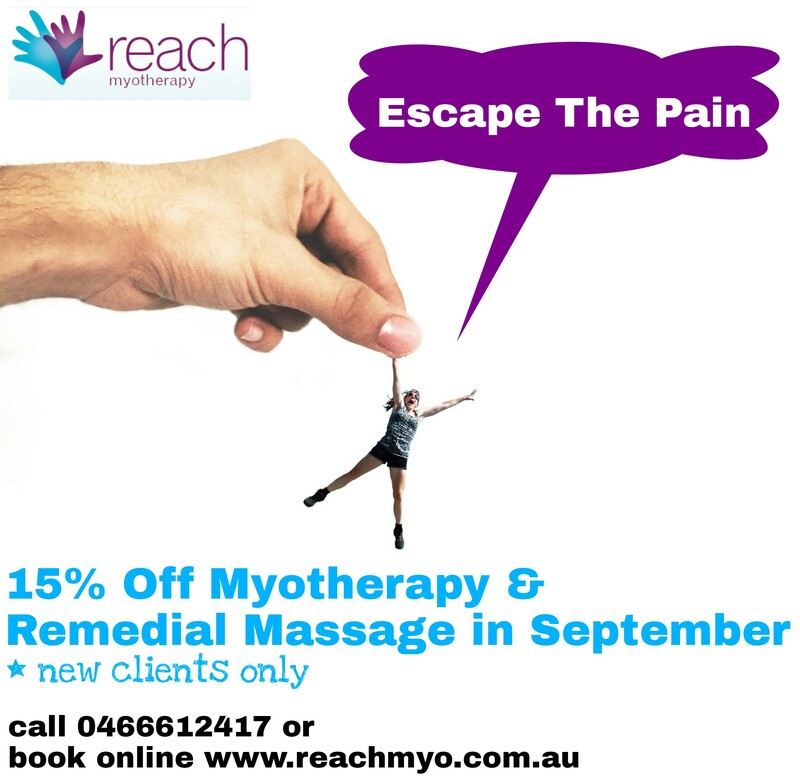 Rhiannon Parker completed her Diploma of Remedial Therapy in 2009 and is currently enrolled in a Bachelor of Clinical Myotherapy. Rhiannon has her Personal Trainer qualification and a Bachelor of Physical Education and believes that the knowledge and practical skills she gained allows her to relate to and communicate with trainers and clients in a gym setting. Rhiannon enjoys working in this environment and being physically fit herself. She currently trains 6 days a week and plays state league volleyball. Rhiannon takes pride in being a holistic therapist, taking a thorough history and assessment, and working together with you to help you reach your desired outcome. 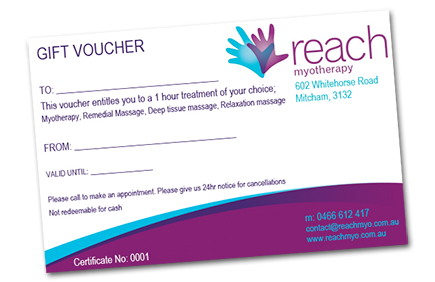 Refer a friend and receive 50% off your next treatment! 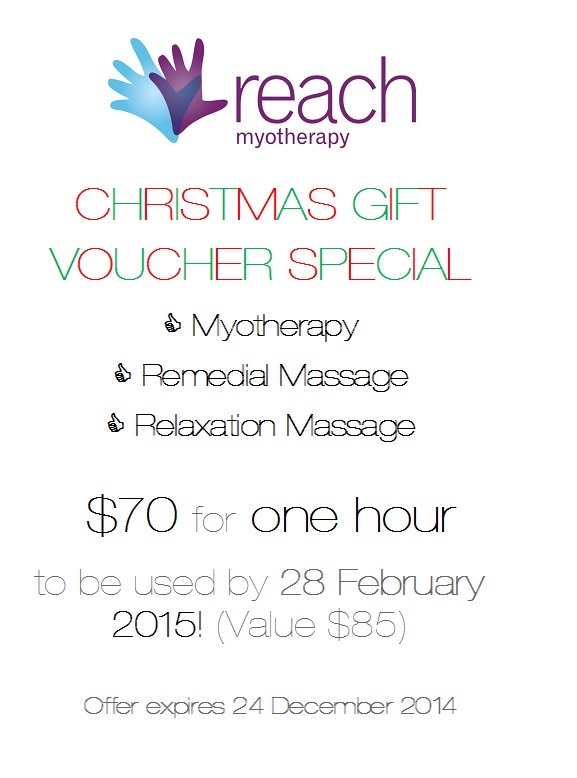 We have Gift Vouchers are available to buy. Please contact us for more information. Appointments available Monday - Friday 8am - 7.30pm and Saturday 8am - 1pm.